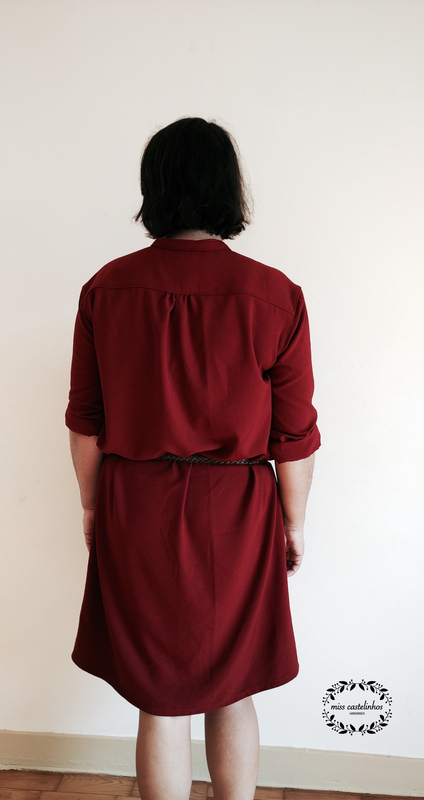 A few weeks ago I got the chance to test another pattern for Charlotte Kan, the Garçonne Shirt/ Dress. I’m a big fan of her sophisticated minimal sense of style and this pattern is a great example of that. A classic shirt/ dress is always a great addition to your wardrobe. I’ve been wearing mine non stop, in all sorts of ways. 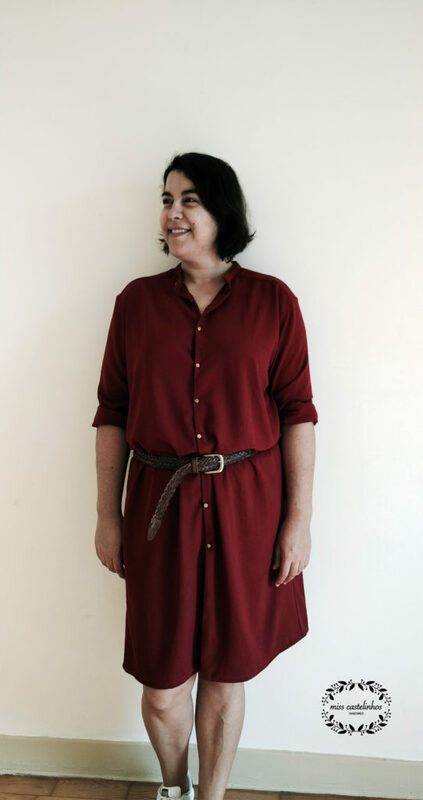 I made the dress version in a plain burgundy crepe fabric from The Sweet Mercerie. Although I love the colour and the end result, I must say it wasn’t the best choice of fabric for this pattern. I miss judge the weight of the fabric and it became quite bulky, making it hard to run through the machine. My advice… Follow Charlotte’s directions on fabric choice!!! 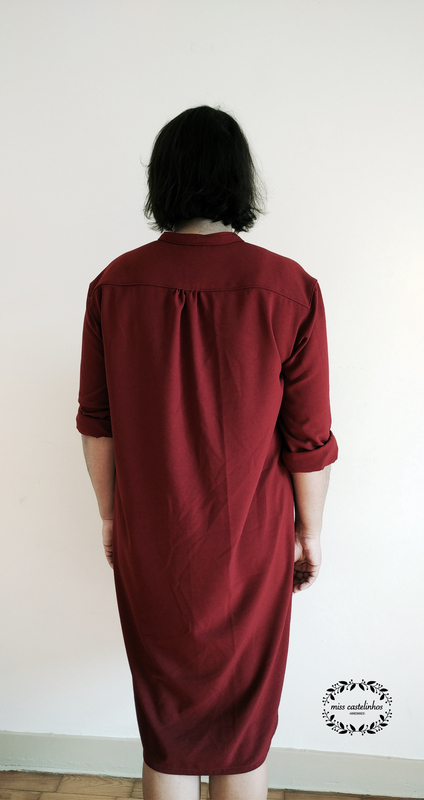 The back yoke is such a nice feature and it’s all topstitched! Just beautiful! It’s made with the “burrito” method, but do not fear it, the instructions are very easy to follow. Adding a belt will completely transform your look and make it even more flattering! 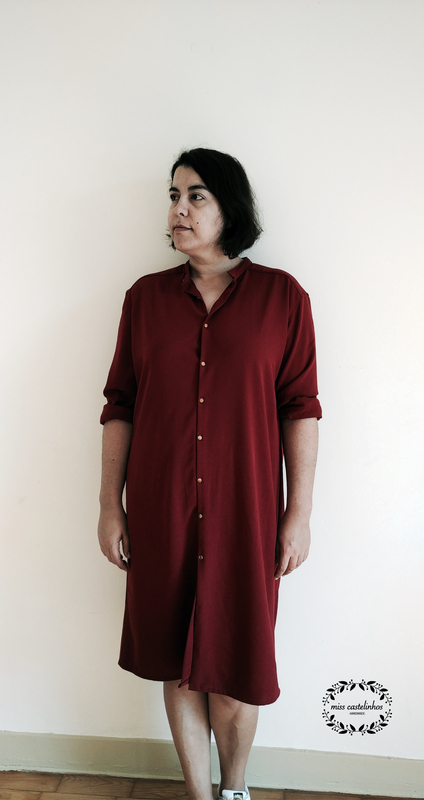 The Garçonne Shirt/ Dress is available here and with the code ohboy there’s a 25% discount until monday, May 9th 23:59 CET. Usei o mesmo tecido na minha Susie Blouse e também saiu mais pesado do que esperava. Anotei o peso do tecido para referência futura e para comparar com os tecidos que gosto mais de trabalhar. Excelente ideia! Obrigada pela dica, Isa! Love this dress and it really looks great on you!